Applications Now Open for the 2017 Levitt AMP [Your City] Grant Awards! Are you in a small to mid-sized town or city? Does your community have an underused public space with the potential to transform into a vibrant destination for the arts? We’ve got the opportunity for you! The Levitt AMP [Your City] Grant Awards return for a third year, bringing free, live music to communities across America! This is an exciting matching grant opportunity created by the Levitt Foundation to activate dormant public spaces through free concerts. Up to 15 nonprofits serving small to mid-sized towns and cities will receive $25K each in matching funds to produce their own Levitt AMP [Your City] Music Series—an outdoor, free concert series featuring a diverse lineup of high caliber entertainment. Applications are now open—visit levittamp.org to learn more. While Levitt’s celebrated program of permanent outdoor music venues, each presenting 50+ free concerts annually, is tailored to large metro areas with populations of over 400,000 (due to financial sustainability and audience development considerations), the Levitt AMP [Your City] Grant Awards are specifically designed to meet the needs and capacity of small to mid-sized towns and cities, with each Levitt AMP winner presenting 10 free concerts. And just like in previous years,the public will decide the Top 25 finalists through an online voting process taking place this November. So make sure your family, friends, colleagues and neighbors sign up here to vote and bring free, live music to your community! Watch the video below for a look at how the Levitt AMP grants competition works and its impact on towns and cities nationwide. Past winners are eligible to reapply for a 2017 Levitt AMP grant. So what are you waiting for? 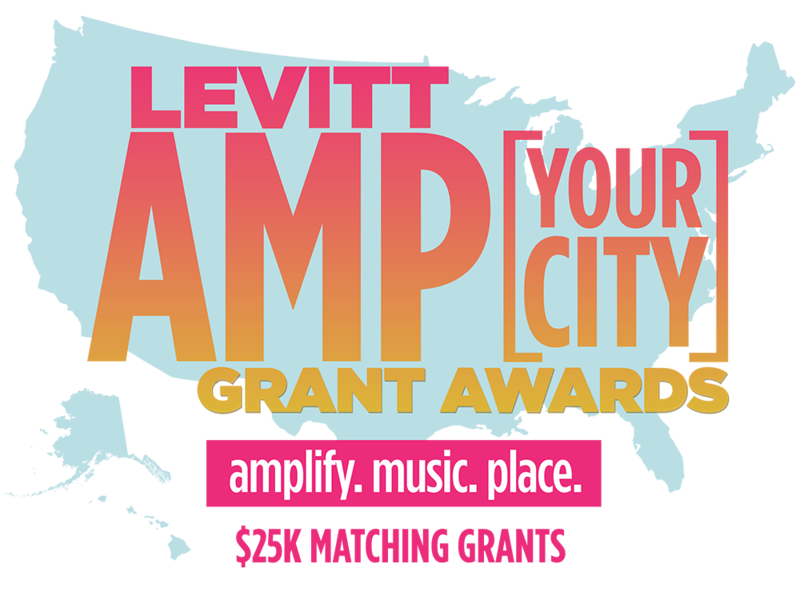 Learn more about the Levitt AMP [Your City] Grant Awards! This entry was posted in Levitt AMP on July 21, 2016 by Lucy Truong.